I have been compensated by Newell Brands for this post; however, I am sharing my own thoughts. All opinions are my own. 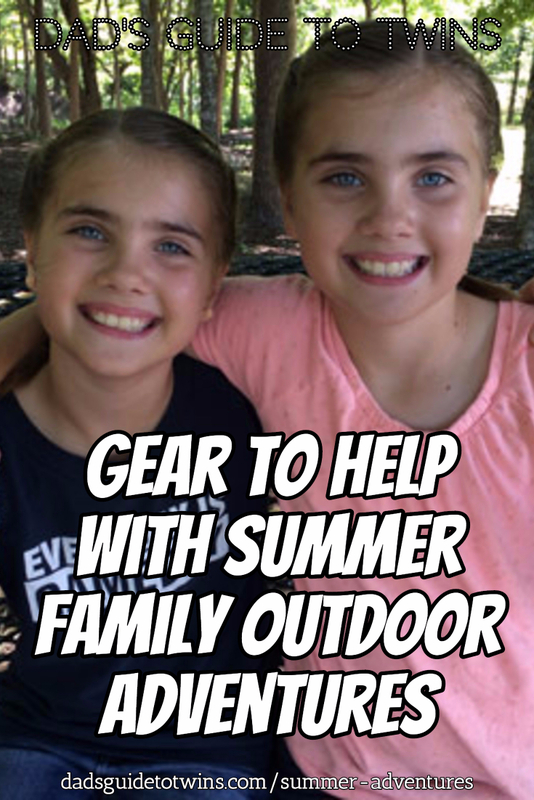 Summer is here and my family and I are super excited to have outdoor adventures together. Just this weekend, we made a big list of all the day trips, hikes, picnics, campouts, and sightseeing we want to accomplish before summer ends. As you know, one of the challenges of getting out of the house with your twins (and other children) is making sure you have all your gear in order to guarantee a great trip. That is why I was happy to hear from some friends at Contigo, Rubbermaid, and Coleman who sent me some great gear to try out for summer. 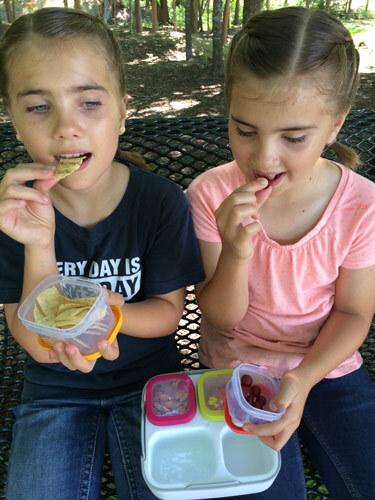 Whenever we venture out with our family, we want to make sure our children are well fed, hydrated, and safe. Here’s some gear that helps with each of these goals. Picnics with the family are fun. Unfortunately, food always seems to get squished in transit or by overeager and energetic children. This is where the Rubbermaid Balance Meal Kit comes in handy. 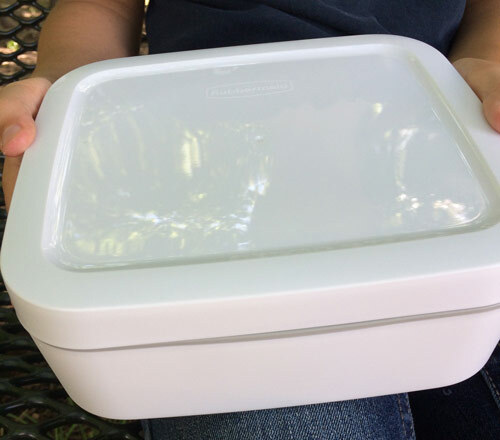 This durable and sturdy container is really multiple food containers in one. The hard outer shell encompasses four smaller sealable containers. 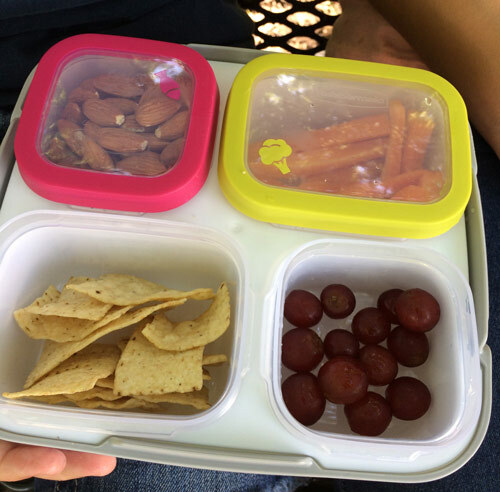 The four inner containers are color-coded and let you pack a balanced meal or snacks for your kids. The labels on the containers remind you to pack proteins, fruit, vegetables, and grains. 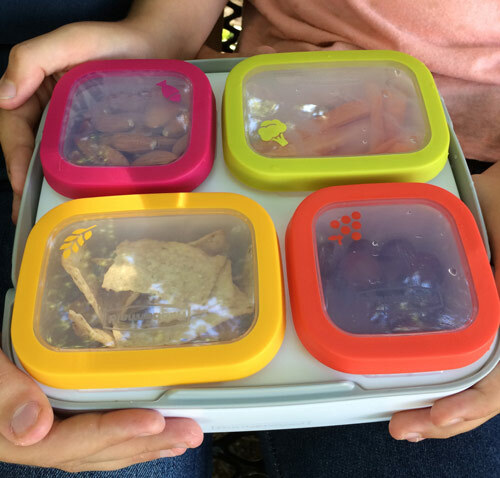 Each individual container is easy to open (even for little fingers), and is made of hard plastic so it can take the inevitable drop without breaking or smashing your food to bits. If I had a nickel for every time my wife or I tell our kids to take a drink of water, we’d be able to buy our own private lake. 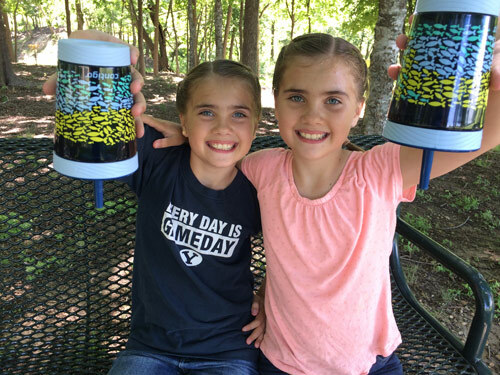 My girls loved the Contigo Spill Proof Kids Tumblers. These hard plastic cups have a leak-proof and spill-proof lid that totally amazed my daughters. 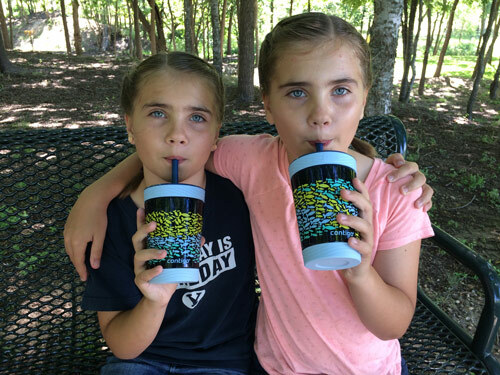 If your children are old enough to use a straw (over 3 years old), these will work great for them. We all know that no matter what container you give your kids for drinking, it will end up on its side or upside down where you don’t want liquid spilled. These tumblers are great at making sure the water stays inside and not all over the place. As our children have gotten older, they need more water on our outings. 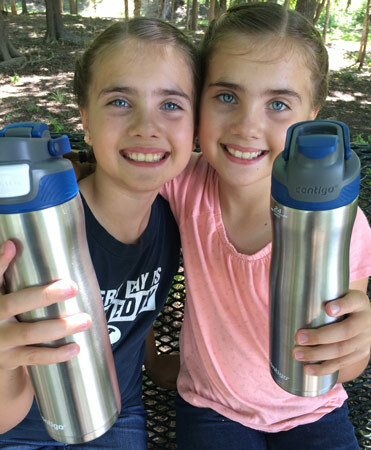 The Contigo AUTOSEAL® Chill Water Bottle helps fill that need. These metal bottles can take a beating and keep on ticking. Plus the ingenious cap offers some great benefits. First, our girls can’t chew the valve piece, which they have done in the past. Second, you push a button to open the valve and drink. 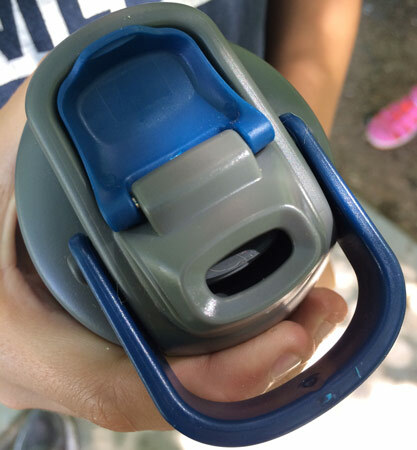 This makes sure you avoid unwanted spills when the bottle ends upside down or sideways on the floor of the car or at the bottom of the backpack. I found these water bottles easy to operate one handed too. The double-wall stainless steel helps keep your drink chilled all day. 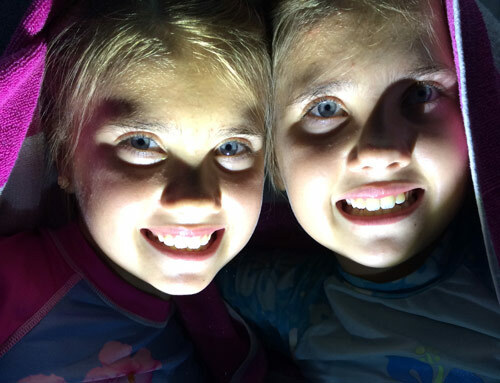 When you’re out camping, having a good flashlight can make all the difference of finding your way back to the tent safely or stepping on a fire ant mound. Ouch! 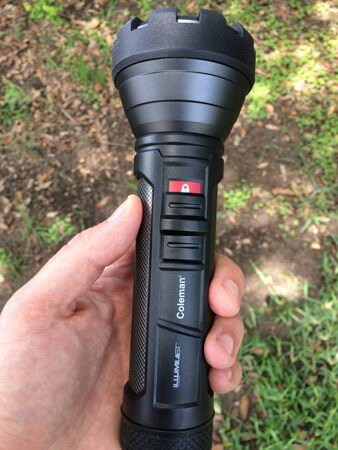 The Coleman IL+250 LED is about the most rugged flashlight I’ve seen. This flashlight is a beast in a good way. It has a solid construction fitted with rubber edges so it can handle the punishment your kids will give it. Plus the light coming off of the IL+250 LED flashlight literally lights up the night. There are two settings on the flashlight, one is a softer light and the second is “noon-day sun” setting. OK, technically it isn’t called that but you get the point. You can see and be seen clearly with this light. Remember to keep your children well fed, hydrated, and safe this summer. What are some of your favorite summer activities? Share in the comments below.